It’s been a while since I posted and I thought it was about time to get started again. Alot has been going on. 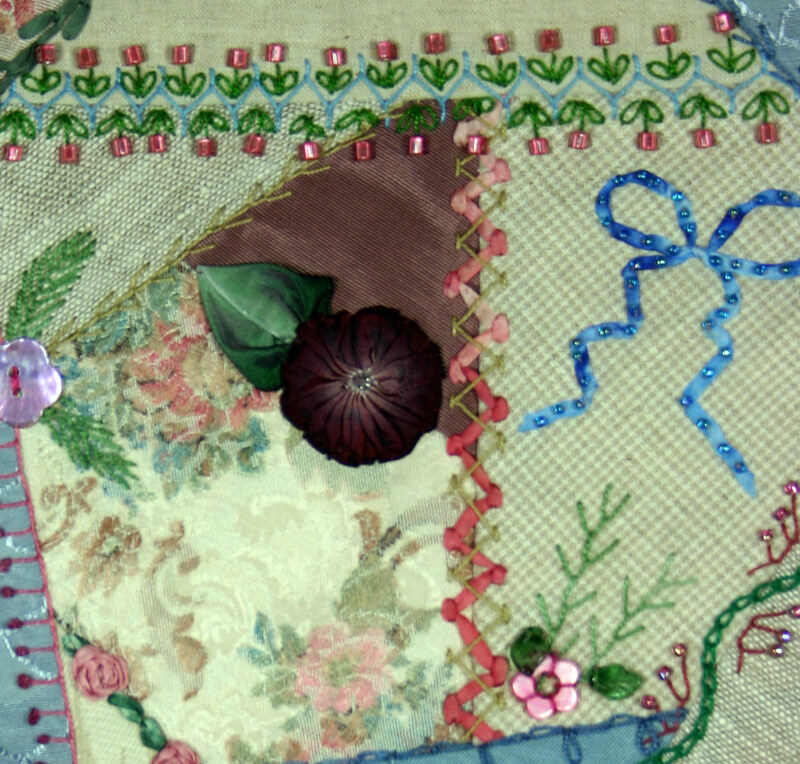 Although Cathedral Window Quilting has been my passion I have missed Silk Ribbon Embroidery. I bet you would never have guessing looking at some of my Twilts. 🙂 I have been doing quite a bit of that recently as well as more dyeing of ribbon and rayon trim and Crazy Quilting. What a fabulous opportunity to use all the stuff I have been collecting. 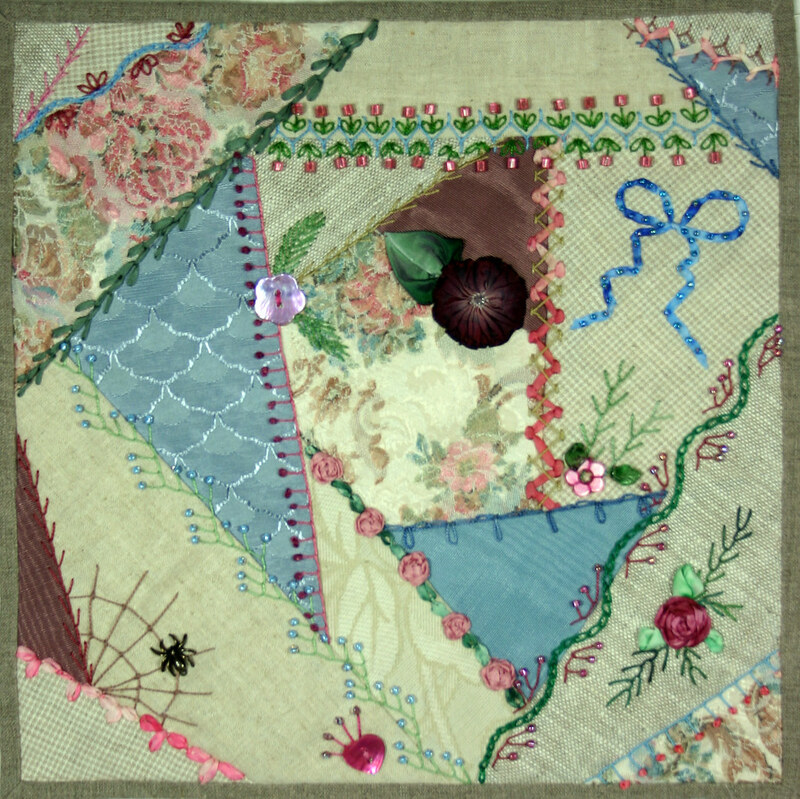 So, my re-entry into blogging is a Crazy Quilt Twilt. 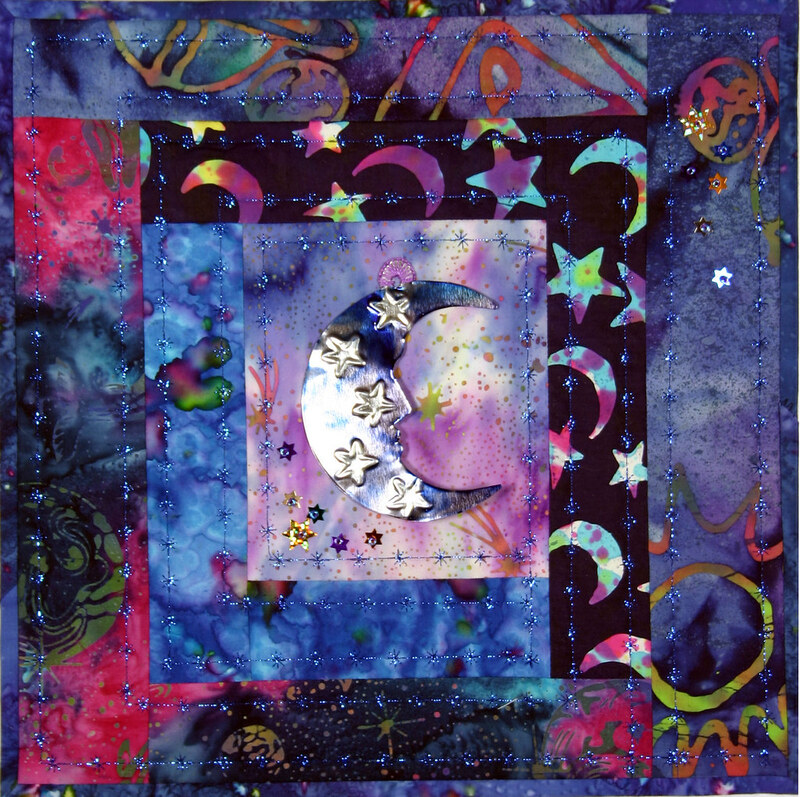 I belong to a group of ladies that have totally inspired me so you’re going to be seeing even more crazy quilting and embellishing.